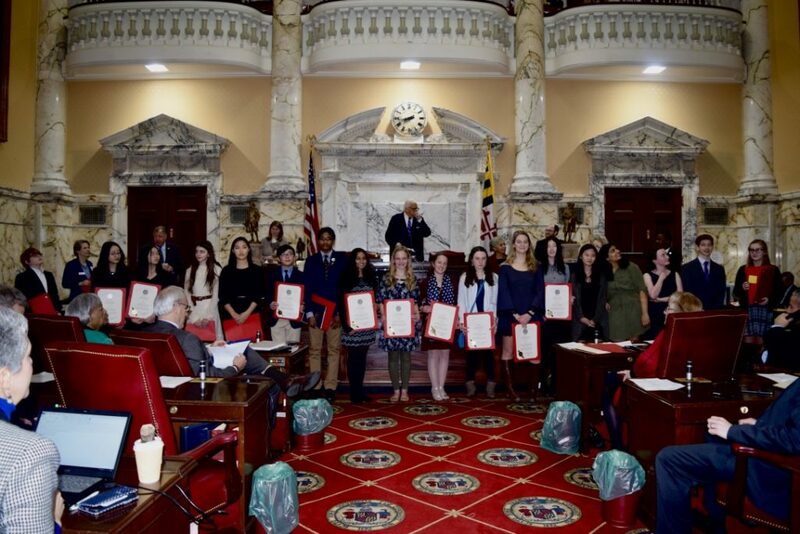 (Baltimore) – State Senators and Delegates recognized 21 outstanding Maryland middle and high school history scholars at the Maryland State House in Annapolis on January 28, 2019. The students were acknowledged for awards or honors they received at the 2018 National History Day competition. 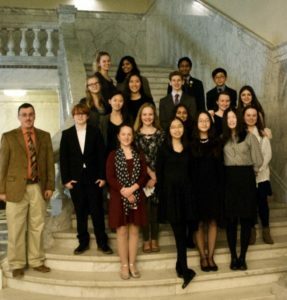 In order to participate at the national level, students must place at Maryland History Day, a program of Maryland Humanities. Thomas Crise and Samuel Spinder were also recognized for being named the Maryland History Day Middle and High School Teacher of the Year, respectively. Crise teaches in Queen Anne’s County and Spinder teaches in Washington County.